About Us - WorldCity, Inc.
WorldCity is a Miami-based media and event company focused on the role of globalization on local communities – and connecting the most important executives in those communities in person, in print and online. 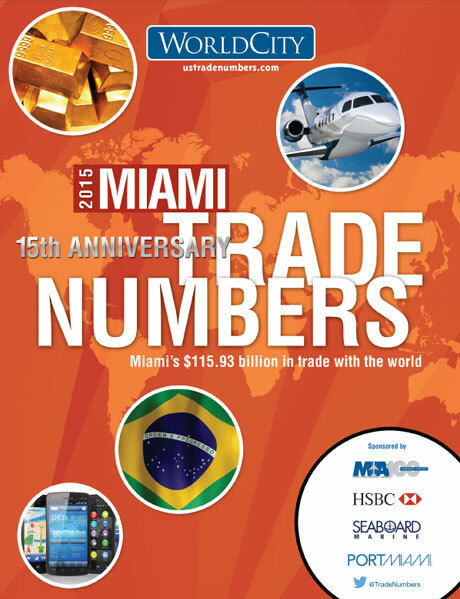 Founded in 1998, WorldCity hosts more than 30 events in the Miami area for the multinational and internationally focused business community, oversees a proprietary Who’s Here database of more than 1,400 multinationals in the Greater Miami area, produces annual import-export TradeNumbers publications across the United States, and generates more than 6,700 import-export trade stories at www.ustradenumbers.com each month. The 30-plus events are split among four series. Our two panel discussion, Global Connections, is held 9 times each year. Attendance ranges from 100 executives at most event to 400 at special events. In addition to these two panel discussion event series, WorldCity hosts two exclusive roundtable event series, each by invitation only: the CEO Club, for heads of multinational operations in the Greater Miami area, held nine times annually, and HR Connections, held six times annually. HR Connections is an invitation-only event for Human Resources directors working for multinationals with offices in the Greater Miami area. HR directors representing many of the world’s best-known multinationals have attended HR Connections over the years. While HR Connections events are 90 minutes in length, and rely on members of the Miami-based HR multinational community to lead discussions, HR Americas – a special, two-day annual event – is a more ambitious event focused on bringing together top multinational Human Resources executives focused on Latin America and the Caribbean to hear from the hemisphere’s leading experts on a targeted but wide range of topics. More information about these events are available on our events page. In addition to WorldCity’s events, the company also maintains an extensive multinational database and works closely with import-export trade data, both in print and online. 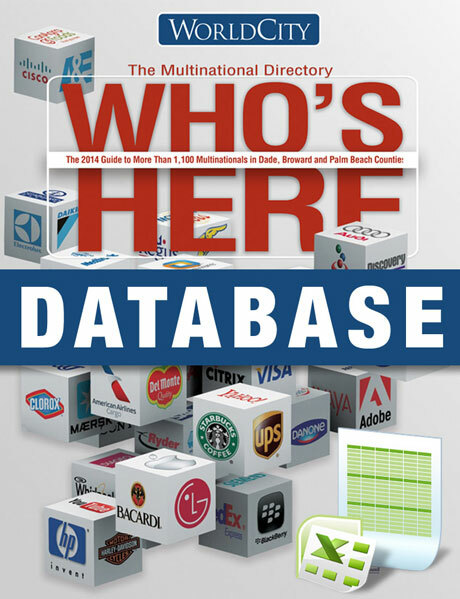 The Who’s Here database is rich in information on the 1,400-plus multinationals with South Florida offices, including the top executives, contact information, country of headquarters, local employees, employees overseen from the Miami area, revenue overseen from the Miami area, and more. They have headquarters in more than 50 nations around the world, oversee hundreds of thousands of employees and are responsible for more than $300 billion in annual sales. 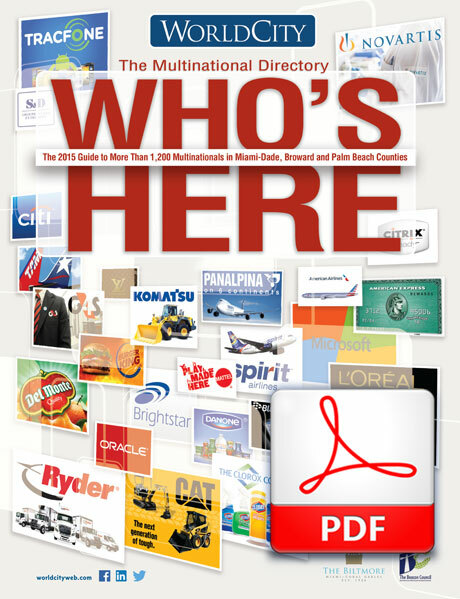 You can download a free PDF of the annual Who’s Here publication by clicking here, or purchase a copy there. WorldCity also sells a database with additional information. Contact us at info@worldcityweb.com or 305-441-2244 for more information. 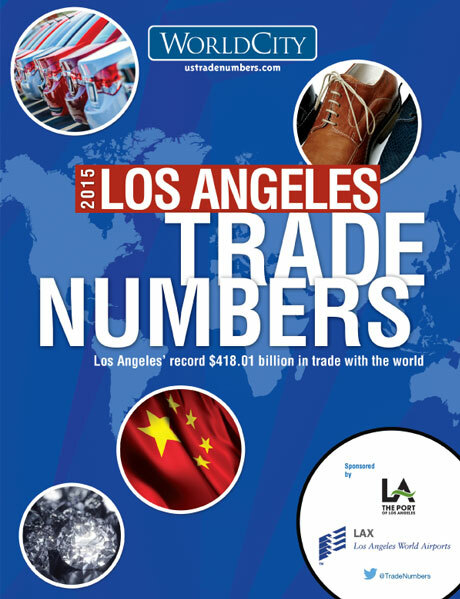 WorldCity’s annual TradeNumbers publications are the “bibles” of trade data in leading import-export hubs around the country. 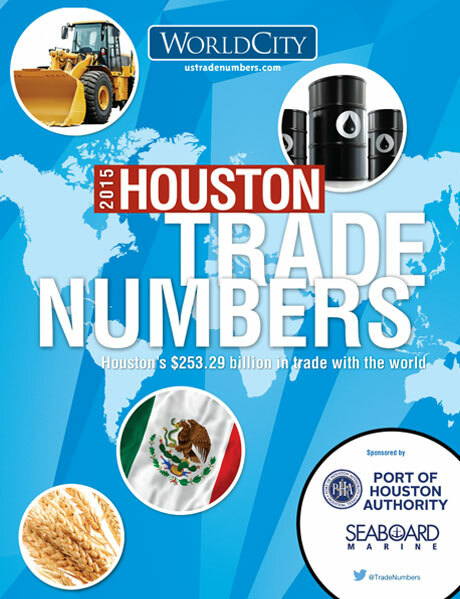 WorldCity has produced TradeNumbers publications for most of the top Customs districts, including Los Angeles, New York, Laredo, Houston, New Orleans, Seattle, Atlanta/Savannah, Miami, Dallas-Fort Worth and Boston as well as specific “ports” or border crossings, like Pharr, Texas; for specific states, like Georgia; for specific industries, like perishables and technology; for specific countries or regions, such as the United States, the Americas, China, Mexico, South Korea, Japan and Costa Rica. These publications can be purchased or PDFs downloaded at no cost here.For information on advertising in one of these publications or sponsoring one of these or one not listed, contact us at info@worldcityweb.com or by calling 305-441-2244. Each month, at www.ustradenumbers.com, WorldCity posts more than 6,700 pages of trade data, more than 8,000 interactive maps, and 12,000 hyperlinked charts rich with the latest U.S. Census Bureau data. 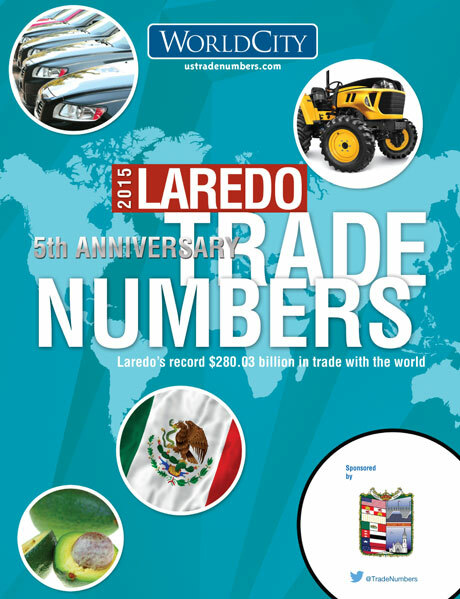 The data covers more than 200 nations; almost four dozen Customs districts; more than 485 airports, seaports and border crossings; and more than 900 export and 900 import commodities. WorldCity can be followed on twitter at @worldcityweb or @tradenumbers, or at LinkedIn or on Facebook.